From 1 August, the Foundation for Knox College and Salmond College invites applications for scholarships to attend either Knox College or Salmond College in 2019. Each College is offering a number of scholarships. Each scholarship is worth $4,000 towards the cost of accommodation fees. There is an expectation that scholarship recipients will be actively involved in the life of their respective College. submit an 'Application for Residential College' through the University of Otago's Student Accommodation Centre, and put either Knox College or Salmond College as their first preference. 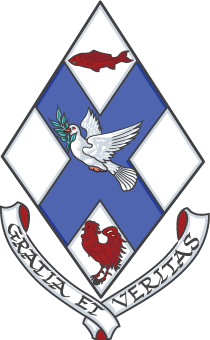 Submit a letter/email of application to the Head of Salmond College (head@salmondcollege.ac.nz) by midnight on 30 September 2018, saying why you are applying for the scholarship, and providing details of activities in which you have taken responsibility, shown leadership, or contributed to your community. Arrange for a reference from a senior person in your school (e.g. Principal, Assistant Principal, Year 13 Dean). Attach to your application your most recent results in NCEA or equivalent. The scholarship will be for the first year of full-time study at the University of Otago and must be taken up in 2019. The scholarship may be held concurrently with other University of Otago scholarships. Agree to reasonable requests from Salmond College to appropriately represent the College and the scholarship. From 1 August 2018 The Foundation for Knox College and Salmond College will invite applications from students returning to Salmond College for a $1,000 scholarship to assist with the accommodation fees for the 2019 academic year. There will be a number of scholarships available. Submit an application via email to the Head of College (head@salmondcollege.ac.nz) stating why their contribution has been significant and what they would add to the College during 2019. The scholarship may be held concurrently with other tertiary scholarships when the regulations of that scholarship permit it. Applications close at midnight on Sunday, 30th September 2018.